From this beautiful second-floor recently remodeled condominium you can view the emerald waters of the Gulf of Mexico while sitting on your large private balcony, or walk a few steps to enjoy the swimming pool and whirlpool spa. A short walk down any of four Gulf Place Caribbean private boardwalks leads you to the sugar white sand beach. This two bedroom/two bath unit is accessible by stairs or elevator. The master bedroom has a king size bed and private bath. The guest bedroom has a queen and private access to the second bathroom. Two bunks in the hallway provide single beds for children. The kitchen is fully equipped with dishes, cooking utensils, dish washer, and refrigerator with ice maker. Guests at the Gulf Place Caribbean have complimentary use of three pools (seasonally heated), two whirlpool spas, tennis courts, nature trails, tree-shaded picnic area, shuffleboard, charcoal grill, and the grassy amphitheatre where there are frequent special events. The Gulf Place Town Center provides restaurants, pharmacy, banking, breakfast and snack bar, pizza parlor, bicycle and beach equipment rental, and clothing shops. A paved bicycle path passes along CR-30A in front of Caribbean providing miles of easy pedaling to many restaurants, shops and other destinations on the beaches of South Walton County along CR 30A. Paddle Board, Kayak, Bicycle rentals available within Gulf Place. We loved the condo! It had the perfect location, close to the pool & walking distance to the beach. It was comfortable, clean, and had all the amenities our family needed. Thank you for the hospitality! Amazing condo and owner great to work with. Allen was so amazing to work with! We recently went to Santa Rosa and hurricane Michael ended our trip a few nights short. Allen was very willing to work with us on this! The condo was updated and well decorated. It’s also in a very good location across from the beach. We hope to return again!! The condo was beautiful and clean. It was in a great location close to the beach and restaurants. Beautiful condo in a great location. We enjoyed our visit and will definitely be back. Perfect location, condo is clean and decorated adorable! We thoroughly enjoyed our stay at this condo. It accommodated our family perfectly. It is clean, updated, and decoareted very cute! The location couldn’t be better. The beach, the pool, restaurants, souvenir shops, candy/ice cream and coffee shops are all just steps away. The owner, Allen, was top notch to work with! We definitely made lasting memories on our vacation! 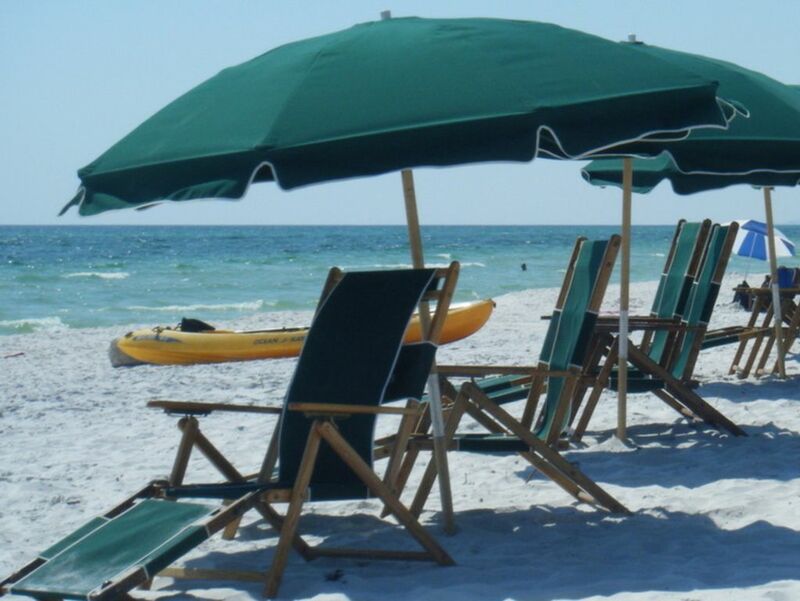 Great 2 bedroom condo close to Santa Rosa Beach! We really enjoyed our stay in Santa Rosa! This condo was roomy and could easily accommodate six people. The location was perfect; just a short walk to the beach and to several local restaurants and shops. The condo had modern decorations and televisions and the kitchen provided all the utensils, cookware and dishware you could possibly need. All in all, a wonderful experience and we would definitely recommend this condo to our friends and family!! This condo and community is a fantastic place for families. The condo is very clean, spacious, and has all the amenities you need. You are literally steps away from the beach! We thoroughly enjoyed our stay and we will definitely be back! Within and near Gulf Place there is a pharmacy, bank, several full service restaurants with bars, breakfast café, pizza restaurant, clothing, real estate, bike rental, beach equipment rental. All within walking distance of our condo. Rates are subject to change until reservation is confirmed. $250 reservation/damage deposit is due at time of confirmation. Remaining balance is due 30 days prior to check in. Reservation deposit is refundable up to 30 days prior to check in. Damage deposit is refundable after departure and cleaning. I do not offer long term winter rentals.